More than 250,000 votes were cast in the 2012 People's Choice Stevie Awards for Favorite Customer Service, part of the 6th annual Stevie Awards for Sales & Customer Service, the world’s top honors for contact center, customer service, and sales professionals. Nicknamed the Stevie® for the Greek word “crowned,” the awards will be presented to honorees at the Stevie Awards for Sales & Customer Service awards banquet on Monday, February 27 at Caesars Palace in Las Vegas, Nevada. Tickets for the event are now on sale. More than 300 executives from around the world are expected to attend. We asked Cameron for some advice on how to improve customer service. What are your top 3 tips on how to make your mark in Customer Service? Come up with a game-changing way to deliver stellar service to your customer that differentiates you from the competition. All too often, customers have to repeat themselves, from the interactive voice response (IVR) to the agent. That negatively impacts customer satisfaction. Don’t chase offshore cost savings. Offshore has its place, but a good customer experience is often about the customer service representative (CSR) resonating with the caller. I have moved many jobs offshore for previous employers, but at times when you need to create affinity on calls, you have to find elements in the CSRs’ and the customers’ backgrounds that drive commonality. And often those elements are shared demographics or cultural backgrounds. Superior customer service can be achieved onshore or offshore, but it’s important to think about the context. Be willing to let go of old-school metrics like average handle time (AHT), average speed of answer (ASA), and even service levels. Motivate your CSRs to retain, sell, collect, etc., for the RIGHT reasons versus cranking through dialer lists, aiming for the most saves per day, or selling the highest dollars for the week. Retaining a customer by down-selling him to a product that works better for him takes time on the call. But the outcome can be a customer who stays with you for five more years versus a customer that calls back in the next bill cycle to start the process over again. I was amused and intrigued by a story on the NBC Nightly News the other night. This dog (I think it was a golden retriever) was listening to his owner play guitar. The dog had this big grin on his face and his head was clearly moving to the music. Each time the music stopped, the dog’s countenance turned to an obvious frown—then right back to a smile and a head-bob when the music started again. It was an immediate YouTube sensation. Sport? Trying to stay current on technology. Hobby? Trying to stay current on technology. Who has the time to do anything else? I always wanted to be a rock god. I wonder if Eddie Van Halen offers guitar lessons? Candor, consistency, and professionalism. Tell me the truth…even when it’s uncomfortable—for me or for you. Let your reactions be predictable. Ivan the Terrible syndrome is no way to lead, in my opinion. Do what you say you will do. Do your best and pay attention to details. Show professionalism in your written and spoken words. Meet deadlines and work hard. I work for a fantastic company that values what I think about issues that affect our business and gives me the latitude to explore complex subjects. I am empowered to make decisions and influence the direction of our company. I work for a senior leadership that is transparent, not even remotely elitist, and very open to new ideas—and that actively seeks innovation from employees. Who wouldn’t be jazzed to go to work every day in this kind of environment? As Vice President of Targeted Solutions at Assurant, Cameron leads all aspects of development and operations of a patented, next generation, analytics-based, contact routing technology for IBM commercial distribution. Previously, Cameron was Head of Delivery at the HSBC Global Technology Center in Pune, India, as well as served as Senior Vice President and Group Head of Contact Center Technology at HSBC in Sheffield, England. Cameron started his career in 1984 as an officer in the USAF, based at the Pentagon in Washington, DC and spent the 1990s as founder of Softgen International, a global Contact Center software company based in Dallas, Texas. With broad industry coverage of his achievements, Cameron is considered one of the industry's leading experts in the field of contact technology. Assurant is a provider of specialized insurance products and related services in North America and select worldwide markets. Its four key businesses—Assurant Solutions, Assurant Specialty Property, Assurant Health, and Assurant Employee Benefits—partner with clients who are leaders in their industries and build leadership positions in a number of specialty insurance market segments worldwide. Assurant, a Fortune 500 company and a member of the S&P 500, is traded on the New York Stock Exchange under the symbol AIZ. Assurant has approximately $27 billion in assets and $8 billion in annual revenue. For more information go to: www.assurant.com. We asked Carita what it takes to create a successful customer service or call center team. What are your top tips on how to create a successful customer service or call center team? Be it employees or customers. Always give your team a vision. Your people need to know whom to follow, what direction to take, and for what purpose. Make sure this information is clear and easy to understand. Investing your time, energy, and love will help your people in providing excellent customer service because they will feel that you care about them and that you take them seriously. Always remember that your employees are the entrepreneurs in your company. His autobiography (I, Steve: Steve Jobs In His Own Words) motivates, inspires, and helps me because his thoughts and views resonate with me. For example: “Sometimes the things that sound so simple are the most important and difficult ones in life, like: do what you love.” I have the book on the dresser opposite my bed and whenever I catch a glimpse of Steve’s kind face it helps me to contemplate these views and to motivate me. He changed all our lives and I thank him for that every second of the day. In my spare time I love to be outdoors, to walk my dog, and to watch and interact with animals. I also love talking to people from all over the world, to encounter new cultures, and to get to know different views and opinions. I´m always keen to share new ideas, to broaden my mind, and to try to become a better person. I think about life a great deal: about helping people, animals, and the planet—I still have to find a way to do that! I would love to either take care of animals or to be an aid worker with Caritas or Médecins Sans Frontières. I wish I had the strength, backbone, character, and energy that it takes to be an activist for some good cause protecting children, animals, or nature. I would love to fight unfairness everywhere in order to make the world a better place. Instead, I channel this energy into what I do in my work life by helping employees and customers. Thomas Kloibhofer, our CEO and founder, taught me from my first days at CCC that it is “always about helping.” The most satisfying thing about this work is to be able to say: “Today I helped hundreds of customers to have one challenge less and to be happier.” That is a great feeling. Integrity, honesty, humor, values, ethics, and good morals. Plus a good common vision and the same understanding of partnership. The sense of being a unit, the sense of togetherness, and of “having each other’s back”—always. What keeps me inspired is the vision of helping customers at the end of the line and of developing our employees. I want to be there for the employee on the one side and for our company on the other, and to bring these two worlds together. And finally, I want to bring in the customers and their interests. I never forget where I came from: I was a customer service rep and sales agent and I know how tough and challenging this life can be. My aim is to develop an even better service understanding and environment for everyone. My wishes are to continue watching our company grow and our people developing—and to grow old as part of this company. 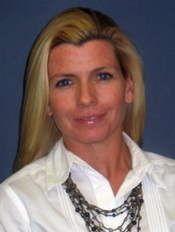 Carita Vallinkoski has held the position of Expansion Manager at Competence Call Center (CCC) since 2007 and has been responsible for the continuous development of existing CCC locations, the evaluation of potential markets, and the set-up of new CCC operations. During her time as call center manager, she had overall responsibility for personnel, commerce, and technology, and the management of more than 600 employees. Carita was awarded the CAt-Award for Call Center Manager of the Year at CallCenterWorld® in 2001; and received the award for Best Contact Center Leader in the world at the 2006 Contact Center World Conference in Las Vegas for her management services in the call center business and for her strategic leadership of employees. Her seventeen years of call center experience in the areas of outsourcing, consulting, training, call center set-up, implementation, and employee motivation make her a leading expert in the call center and customer care industry in Europe. Competence Call Center is one of Europe’s leading call centers.At ten locations in seven countries, more than 3,000 service professionals provide top quality international call center services. CCC is a financially strong, rapidly expanding company with a clear focus on quality. For more information, go to www.yourccc.com. Recognizing the achievements of customer service professionals who directly engage customers. Looking for more ways to showcase your organization’s sales & customer service excellence? See all of the Sales & Customer Service categories here. Need help choosing the best category? Let us help you. Contact us at help@stevieawards.com. How has your company elevated your customer service performance? With the final entry deadline for The 2011 American Business Awards coming up on April 27, we asked Art Gairo, Senior Vice President for Broadview Networks, for his top tips about what makes for great customer service. 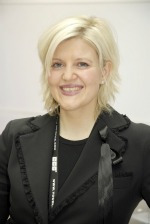 Art will chair and form the final judging committee for the customer service awards categories of the 2011 ABAs. What are your top 3 tips on how to be successful in customer service? Listen to your customers’ feedback and use their suggestions to improve—the customer does indeed know what’s best! A company is only as good as its employees, so it’s important to imbue your employees with a sense of purpose and make sure that they both understand and believe in their mission. Having talented and engaged employees can make all the difference in providing excellent customer service. Never be satisfied in the pursuit of customer service objectives—go over and above what’s required. Whether it’s call-center service levels, mean time to repair, or overall customer satisfaction, always press to be better, faster, and stronger than your competitor, and strive to get it right for the customer as much as possible. I keep seeing TV commercials where people turn to “the cloud” to accomplish something, whether it be for some type of collaborative work, or for family picture albums, etc. This is the new mantra for accessing software and applications remotely, and it just so happens it aligns very nicely with the new line of Cloud Computing products and services that Broadview is rolling out to small- and medium-sized businesses. So all things “cloud” have been resonating with me lately. I’ve always wondered what it would be like to be a doctor, particularly a neurologist. I’ve always been fascinated by the field of medicine. What quality or qualities do you most value in your business associates? Trust and respect are a given, but I would add that I also value people who are positive thinkers and who bring innovative ideas to the table. These are the people who help me to step outside the everyday comfort zone and to grow as a teammate and colleague. I think it’s important to like what you are doing, and to be challenged by your job every day. If you don’t love what you do, it’s going to be difficult to be really successful at it! I begin every morning with a game plan for the day. As I move through the day, I check off my completed tasks, while also adding short- and long-term tasks to the list. This gives me a real sense of accomplishment about what I do. Art Gairo is the senior vice president of Operations for Broadview Networks, with responsibility for all Service, Repair, and Care Centers; the Enterprise Customer Support Division; Field Operations; and the Agent and Wholesale Support Divisions. Gairo has more than 18 years of leadership experience in operations management in the telecommunications industry. 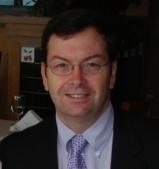 He joined Broadview Networks as a vice president of Customer Operations (previously ATX Communications) in May 2004. Prior to that, Gairo served as vice president of Customer Operations for Allegiance Teleco, now part of XO Communications. Before that, Gairo worked as Team Leader of Field Engineering for MCI Communications. Broadview Networks is a network-based business-communications provider serving customers nationwide. It provides the total solution for business communications, including all distance-voice communications, premises-based and patented hosted VoIP systems and data services encompassing VPN- and MPLS-enabled applications, traditional telephone hardware, high-speed Internet services, a full suite of managed services, and a range of professional services. Broadview also provides an innovative portfolio of bundled, hosted IP phone and cloud computing services designed to meet the unique application requirements of diverse workforce groups. Its customers benefit from award-winning customer service, including a web-based account-management tool and a primary point-of-contact for real-time, personal customer care. Broadview is a control investment of MCG Capital Corporation (NASDAQ: MCGC). Its largest investors are MCG Capital, Baker Capital and New Enterprise Associates.